There are doubts persisting in dentistry concerning the accuracy of elastomeric materials on repeated pours of impressions, since their introduction in 1950s. Greatest accuracy with all impression materials is obtained when the impressions are poured immediately. The accuracy of elastomeric impression materials on repeated pours is reviewed in this article. The record of path of insertion on the dental cast is part of the dentist's work authorization to the dental laboratory technician for a removable partial denture. Through the years several methods have been suggested to record and transfer the achieved path of insertion. However apart from traditional tripoding method, most of the newer methods can be effective between any two stages and cannot be used in a universal manner. In this article a simple attachment to the surveyor is explained which can make the recording and transfer easy and repeatable at all situations. Identification is an essential requirement of any medico legal investigation because a wrong identity may pose a problem in delivering justice. The dental profession has long acknowledged the importance of placing identification marks on dentures. If we go through the literature, we would find many methods to label a denture but none till date fulfils all the requirements of American Dental Association (ADA). This article describes a radiographic technique wherein a lead foil with patient details is sandwiched between two layers of resin during the processing of the denture. Moreover the following method has proved to be simple, easy, quick, durable and cosmetically acceptable fulfilling all the requirements of ADA. Post and core restoration is one the most common treatment modalities applied when the remaining coronal tooth structure is not sufficient to provide the necessary resistance and retention form for the restoration. The primary purpose of a post is to provide retention for the core and that the post itself should be highly retentive. The design, surface configuration and cementing media play a pivotal role in the retention of the post. This study was undertaken to evaluate the influence of design of the post and cementing media on the retention of the post. 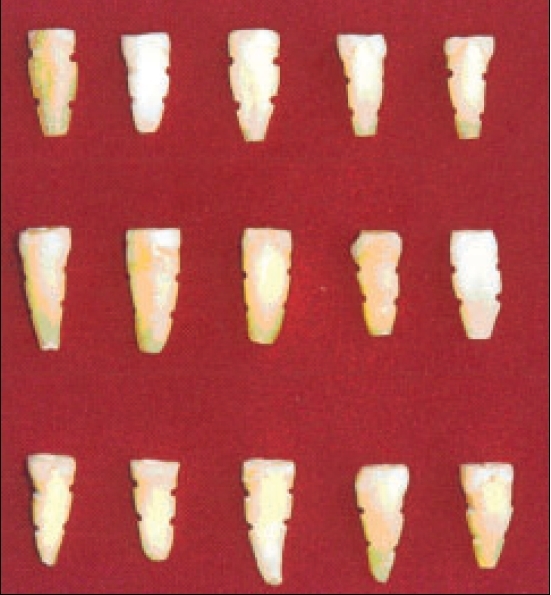 The retentive qualities of two post designs namely, parallel-sided serrated and custom cast posts and three cementing media namely, zinc phosphate, reinforced glass Ionomer and dual cure resin bonded cement were comparatively evaluated using student's unpaired ' t ' test and analysis of Variance (anova). Results of the study showed that the parallel-sided serrated posts were significantly more retentive than custom cast posts. The influence of the type of cementing medium on the retention of the cast posts was not significant. However, the cementing medium had a significant role to play in the retention of the parallel-sided serrated posts, the resin bonded (dual cure) cement being the most retentive, while the zinc phosphate cement was the least retentive. 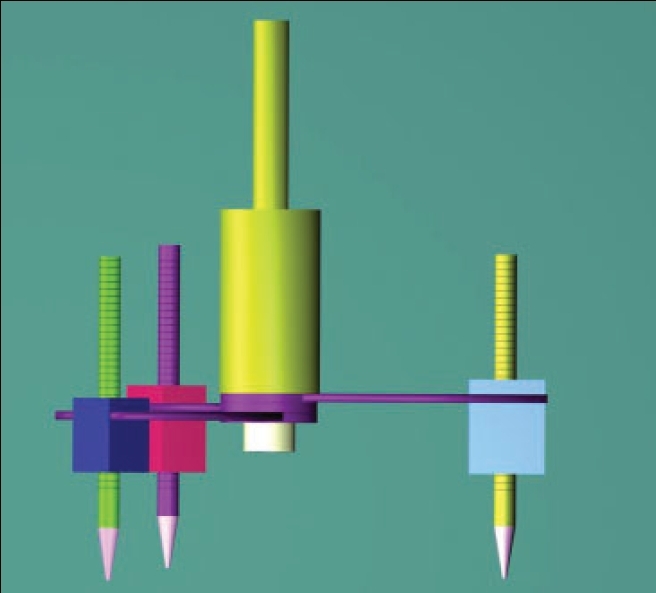 The primary function of a corono-radicular post is to provide retention for a core and this is essential for the longevity of restorations placed on endodontically treated teeth. Individually, cast metal post and core have been a commonly used technique in the past to improve the retention of crowns and bridges on nonvital teeth. With the increasing esthetic options available for restoring anterior teeth, tooth-colored post and core restorations have now become an option for restoring nonvital teeth. However, in the survey of literature very few articles were found addressing the retention of prefabricated esthetic posts. 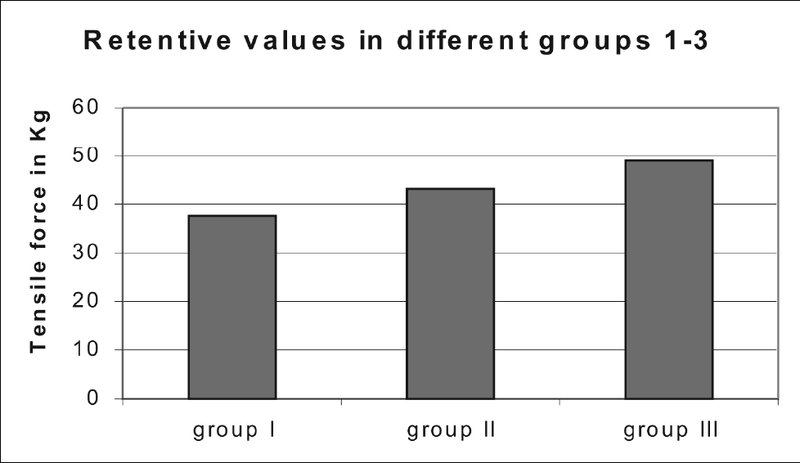 This study was undertaken with the aim to determine and compare: 1. The retention of different Aesthetic posts within the root canal. 2. The effect of different bonding agents on the retention of posts. 3. The difference (if any) from conventional cast metal posts. 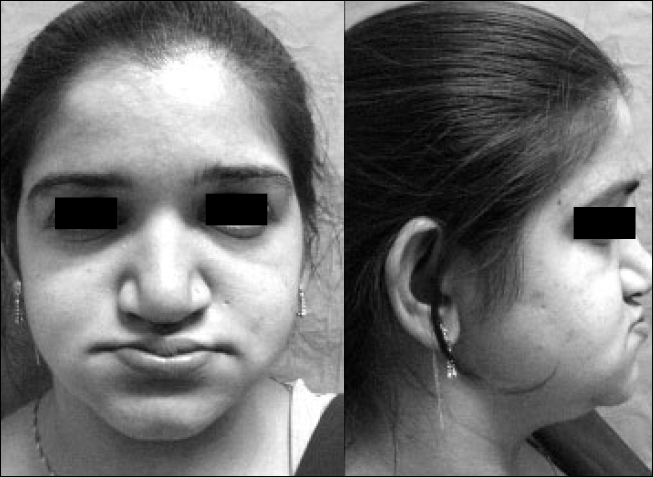 A 21-years-old female patient with sub total congenital anodontia was referred to Army Dental Centre (R & R) Delhi Cantonment for rehabilitation. 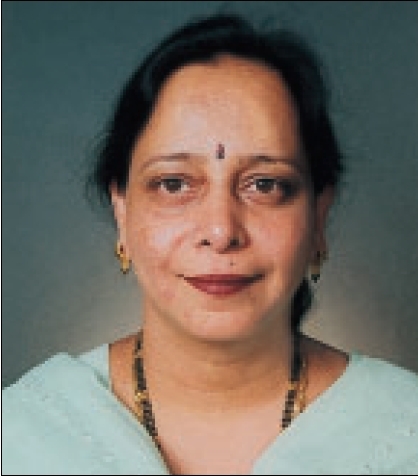 The case not having undergone any treatment till date had masticatory, functional and esthetic disability in addition to low self-esteem and self-confidence. Rehabilitation was done with metal cast overdenture in maxilla and indigenous implants/tooth supported fixed partial dentures in mandibular region. Paralysis of the facial nerve can be due to a number of etiologies. Lower motor neuron palsy can lead to paralysis of the entire half of the face. The condition may resolve spontaneously, however, the resolution is closely related to the severity of symptoms, etiology and the age of the patient. The treatment is usually directed towards a palliative management of symptoms and prevention of future complications. The incomplete closure of the eyelid predisposes the patient to corneal infection. 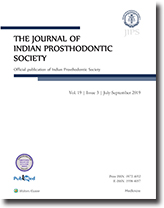 The current article presents one such partially edentulous patient who was collectively managed by ophthalmologists and prosthodontists. 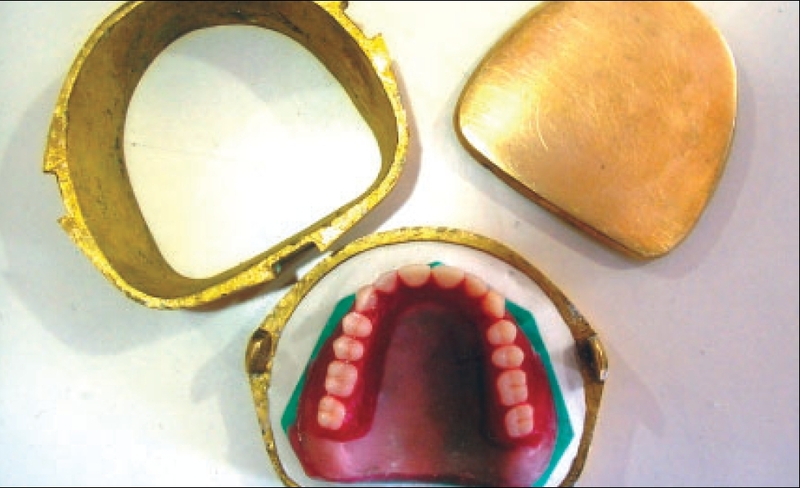 A modification in the buccal flange of upper denture contributed to improve the appearance of the patient. 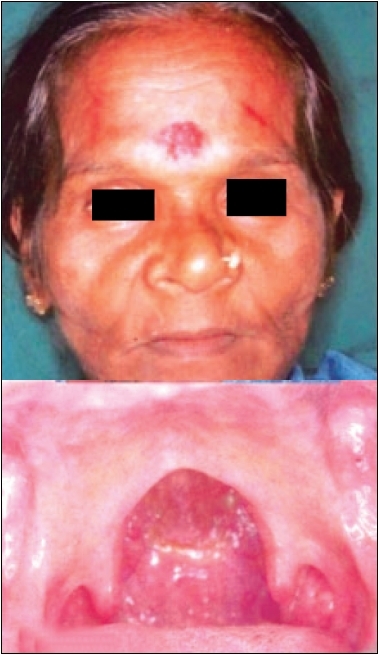 Velopharyngeal incompetence is the functional inability of the soft palate to effect complete seal with the posterior and/or lateral pharyngeal walls. Rehabilitation of velopharyngeal incompetence in cleft palate patients is challenging for both surgical and prosthetic fields. A prosthodontist can best contribute to the total care of the patient with cleft palate by participating all the phases of treatment from birth to the completion of growth. 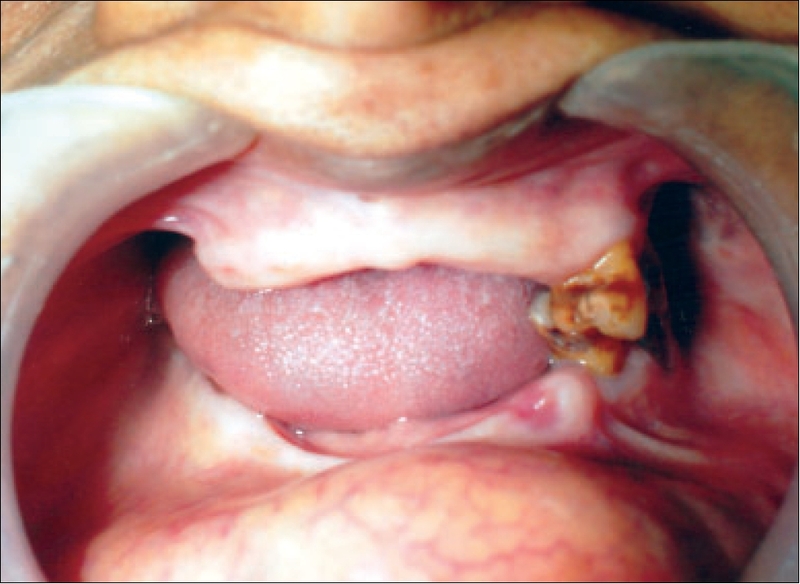 Here, a case report has been presented in which complete denture with a hollow pharyngeal bulb prosthesis has been used for rehabilitation of an edentulous patient having cleft of soft palate. The common man is bombarded by the media extolling the virtues of 'The Perfect Smile.' 'Laminate veneering is a conservative method of restoring the appearance of discolored, malformed anterior teeth.' 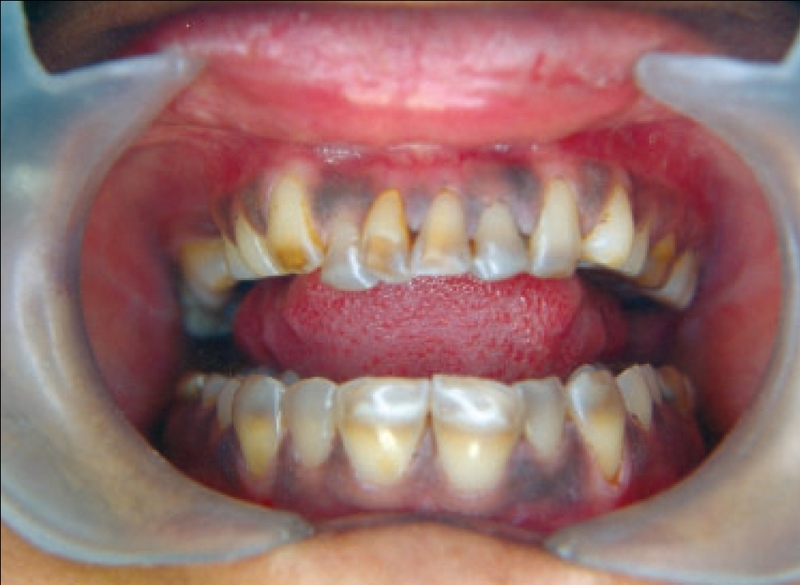 Two young girls, one with tetracycline stains and the other with midline diastema had reported to the Department of Prosthodontics for esthetic restoration of their anterior teeth. The patient with tetracycline stain was treated with indirect ceramic laminate on maxillary and mandibular anterior teeth. The patient with midline diastema was corrected with direct composite laminate on upper central incisors. The patients were happy with the treatment and enhanced esthetic appearance.